Top 3 Carpet Cleaning Methods - Which is Best? Top 3 Carpet Cleaning Methods – Which is Best? What makes hot water extraction the best carpet cleaning method? This is a very popular method and as the name suggests, it utilizes the use of carpet shampoo. The shampoo to be used must have a very high foam production rate as this prevents the carpet from getting wet. The foam must be very stable and must also have a high level of lubricity to prevent damaging the carpet fibers. The foam is applied on the carpet in generous quantities and left to dry. As it dries, it attracts the carpet dirt and a vacuum cleaner is used to pick up the mixture of foam and dirt the following day. This is a very unique method of carpet cleaning in that it does not use water. It is also known as DRY CARPET CLEANING. A carpet absorbent compound that contains a solvent, detergent and a small water quantity is applied on the carpet. A brush is then used to force the absorbent into the carpet fibers and as this is done. The absorbent attracts and binds the soil particles that are embedded on the carpet. After this, the carpet is then vacuumed very thoroughly to ensure that the absorbent-dirt mixture is completely removed from the carpet. This is the tedious part of the using this method and the reason why most people avoid it. s the spraying of hot steam at a very high pressure and the steam is normally a mixture of water and a carpet cleaning detergent. The high pressure forces the steam deep into the carpet fibers and as compared to the other methods ofcarpet cleaning; this is the method that gives deep cleaning. As the steam penetrates the fibers, it forces soil and dirt out and then a powerful vacuum cleaner is used to remove the dislodged dirt and store it in the vacuum cleaners holding tank. To start with, it goes without saying that this method does not need to use a high quantity of carpet cleaning detergent. The fact that the steam is released at a high pressure means that it helps a lot in dislodging dirt embedded deep within the carpet and this reduces the need to use a lot of detergent. It is therefore cheaper. Secondly, the other methods only clean and remove dirt that is on the surface of the carpet. 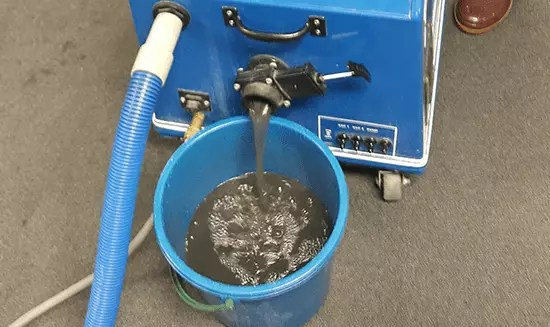 When compared to other methods of carpet cleaning, hot water extraction emerges tops due to the fact that it cleans the carpet from the inside out. 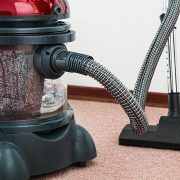 The hot steam also kills any insects or pests that may be in the carpet leaving it super clean. These are some of the reasons why this method is the best. Which is Better - Wet or Dry Carpet Cleaning? 6 Amazing Carpet Cleaning Benefits What is Hot Water Extraction Carpet Cleaning?